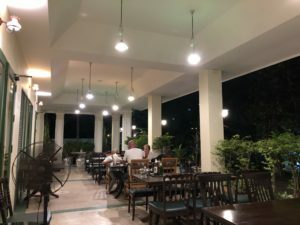 I’ve dropped in at Thonglor Pochana for many years when in the area, deep down into Soi Thong Lor. They have a good noodle soup with duck. The success behind the goodness is that most parts of what a duck has to offer is used to make the broth. The boneless duck meat itself is tasty and tender. So, it’s not the best duck soup in Bangkok, but it really is a good one (far above average). There’s some good handcraft behind the bowl put in front of you, safely kept away from the dices by Mr. Knor. In other words the real thing. The noodles are good, and I personally always asks for sen lek noodles when eating duck and been sprouts. I’m not sure what Thonglor Pochana uses as their standard noodle, but quite some vendors of duck noodles uses sen mee as their standard. That’s the thin, almost hairy like noodle. I just find the texture of them annoying, but that’s me. Condiments for your personal adjustment of the taste are available on each table. I always add a few drops of fish sauce (salt) and chili and sometimes vinegar etc., depending on the day. Price is B52. 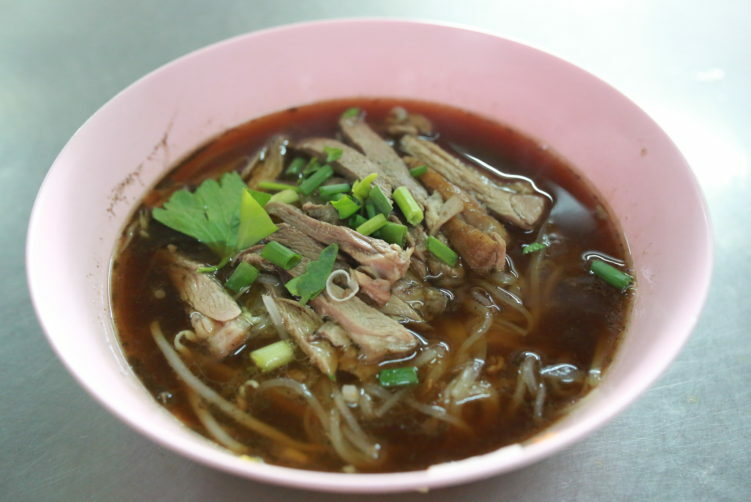 Thonglor Pochana also have other dishes on the menu, like herbal beef and duck stew that has been cooked over night. I can assure you that the meat has the melts in your mouth texture. Also very decent. Chicken is another good alternative. Many people with a sweeter tongue than me will enjoy the mee tai mak soup, that have a resemblance with the Vietnamese noodle dish called Banh Bot Lot. The soup here is a little bit sweeter than what you probably are used to. Thonglor Pochana is quite popular with Japanese tourists occasionally arriving in busses. I’m not sure why, but it’s been like that for years. Probably some recommendations by tourist agency. Be aware that Soi Thong Lor is a street with quite some Japanese influences. But first of all, it’s a local joint. You wont see many westerners here. 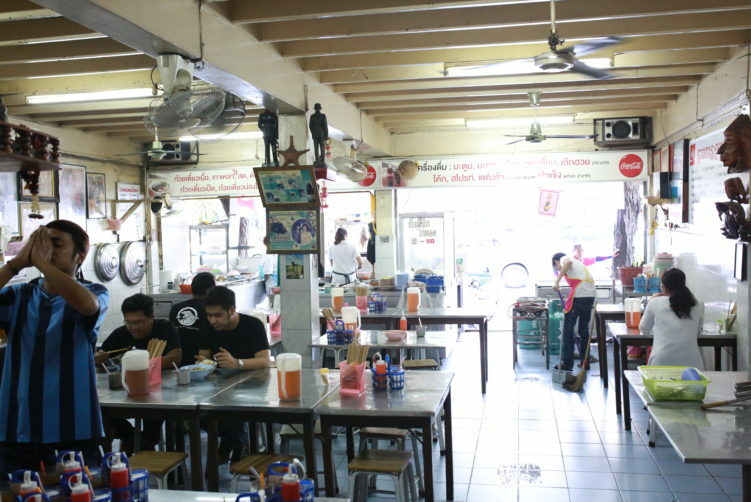 Thonglor Pochana is located on the corner to Soi 19, just across the street from the Thong Lor police station. It’s been here for almost 20 years. And I will continue to come back when in the area, especially since I’m the one that suggested they put up a name sign in English. Whatever you order here will be good food. No short cuts as far as I have discovered. https://mysonginthenight.com/songwriting/ https://mysonginthenight.com/songwriting/ Food: Duck noodles plus some other dishes. How to get there: Take BTS to Thong Lor. Step down exit 3, turn 180 degrees to the right and walk for 20 meters. Then turn left into soi 55 (Soi Thong lor) and walk a few meters until you see the motorbike taxi. Walking is 20 minutes. Motorbike is less than 5 minutes.